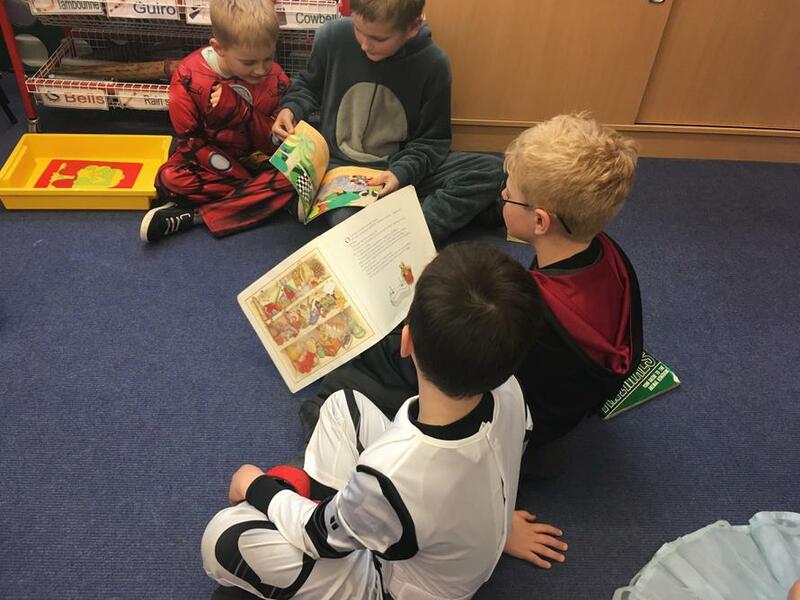 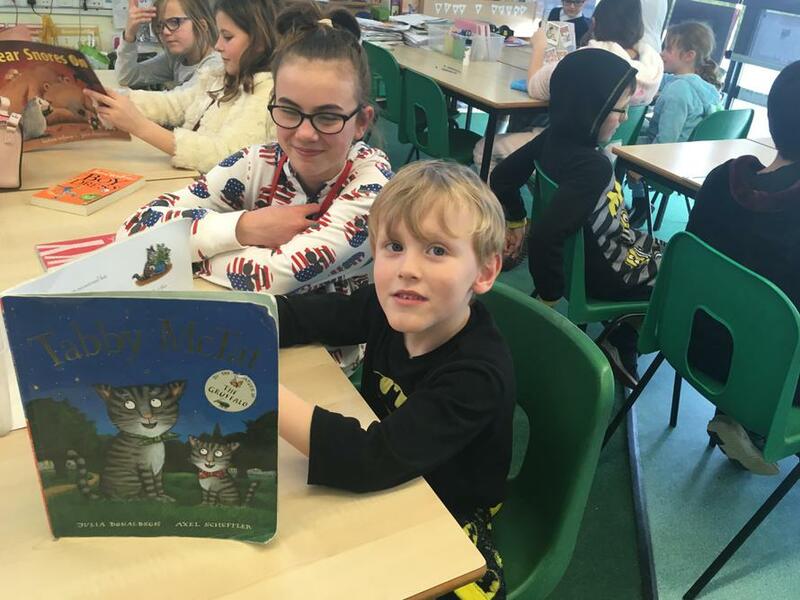 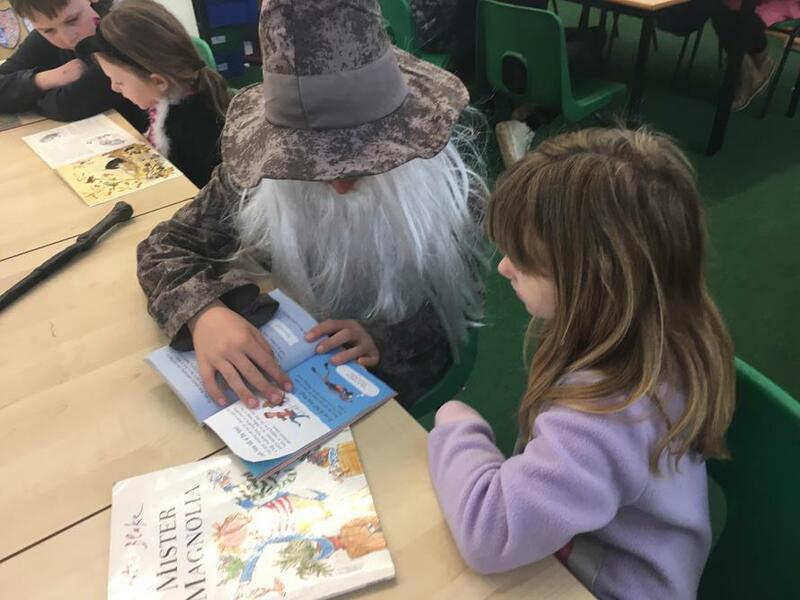 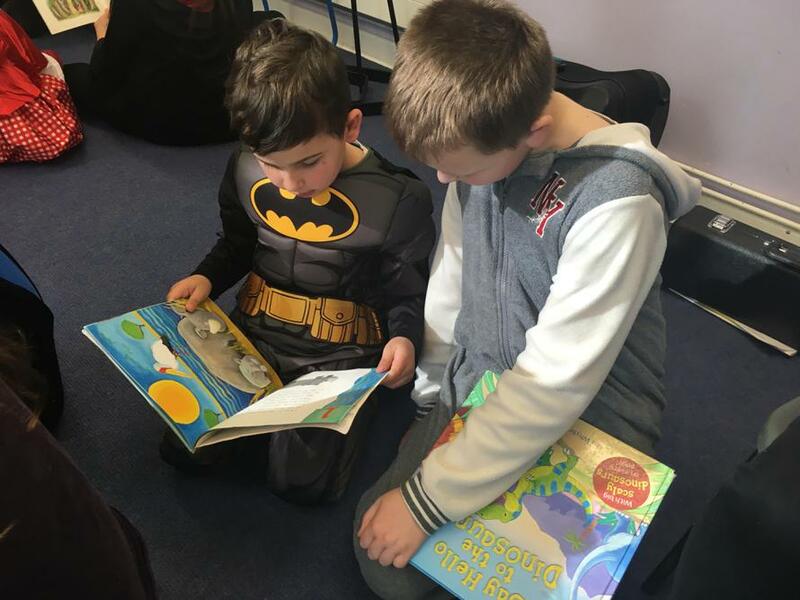 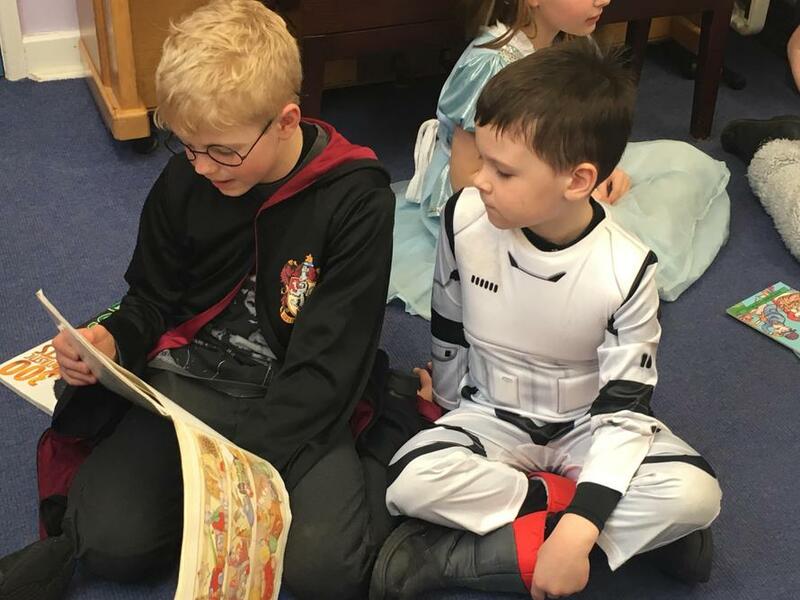 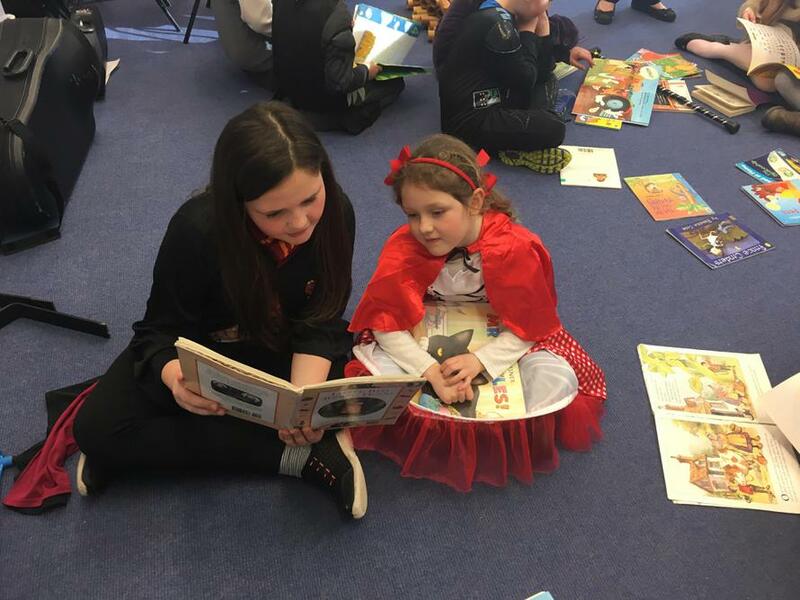 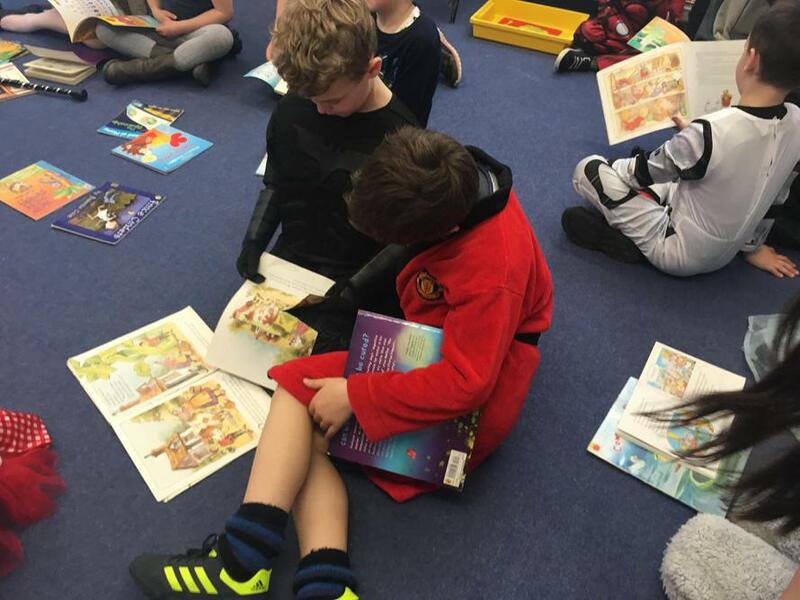 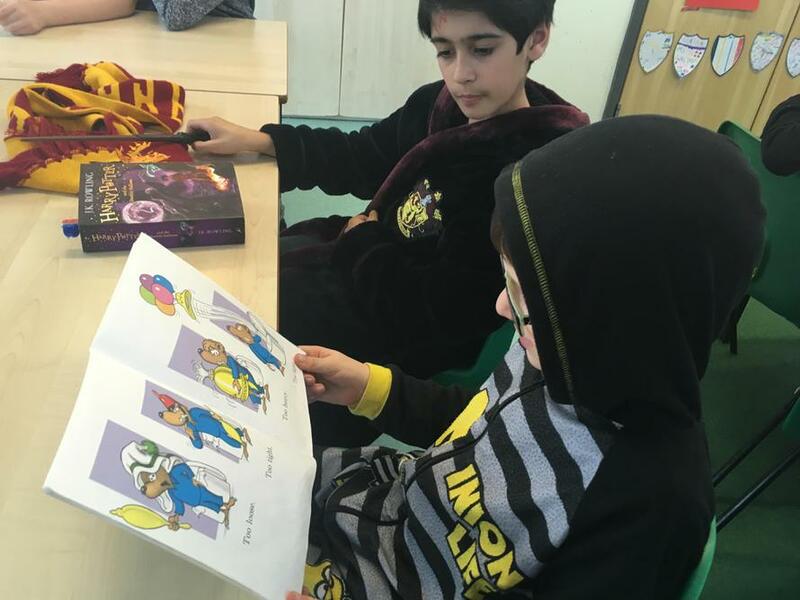 We all enjoyed coming to school in our PJs or dressed up as our favourite book characters for 'World Book Day'. 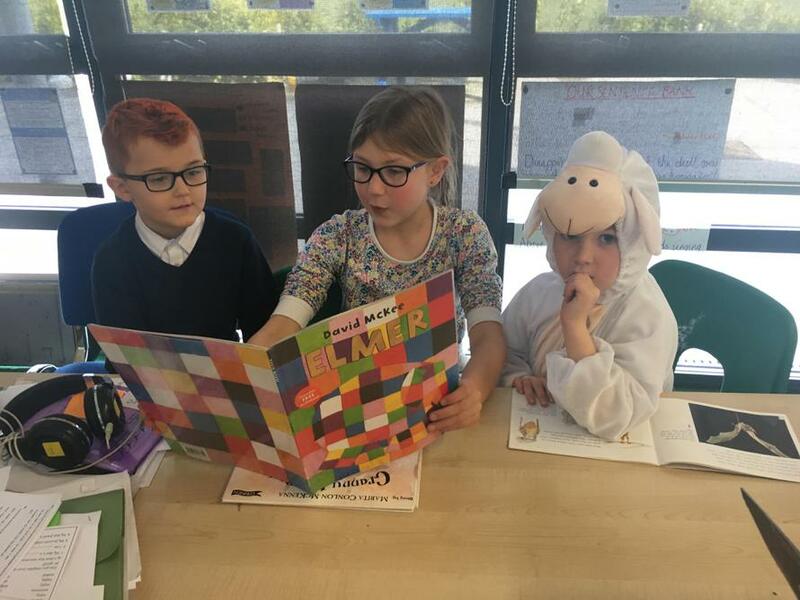 During the day, we shared posters we had made for Homework all about our favourite books. 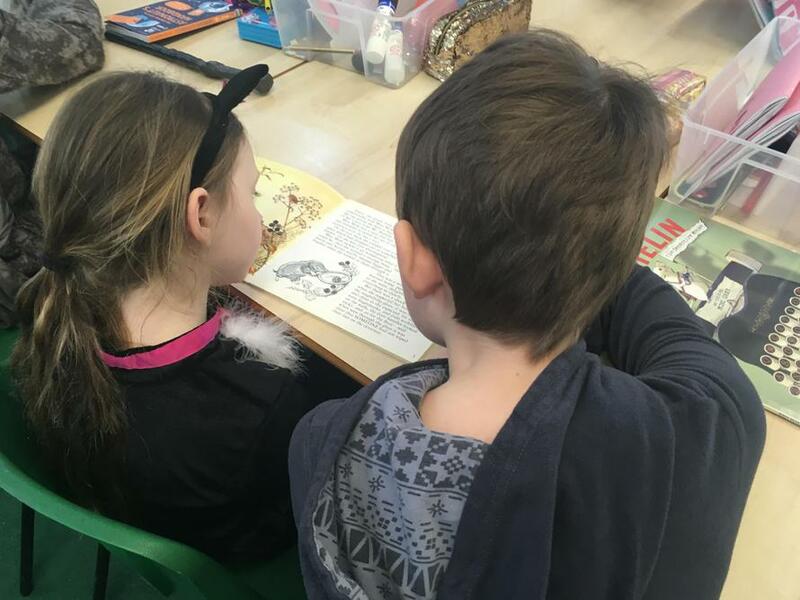 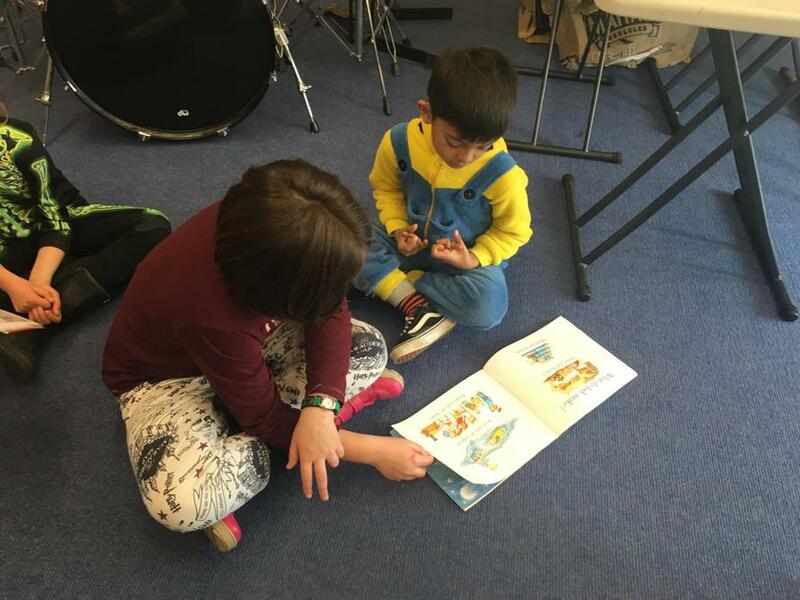 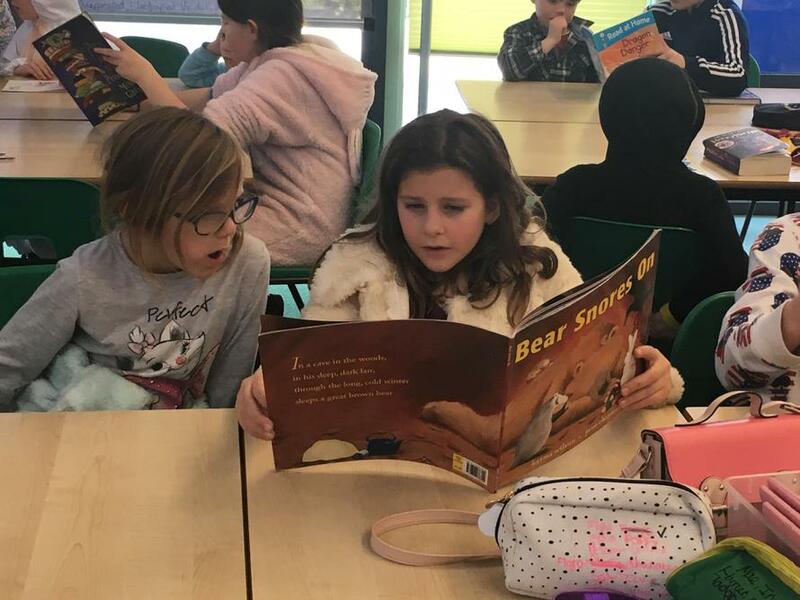 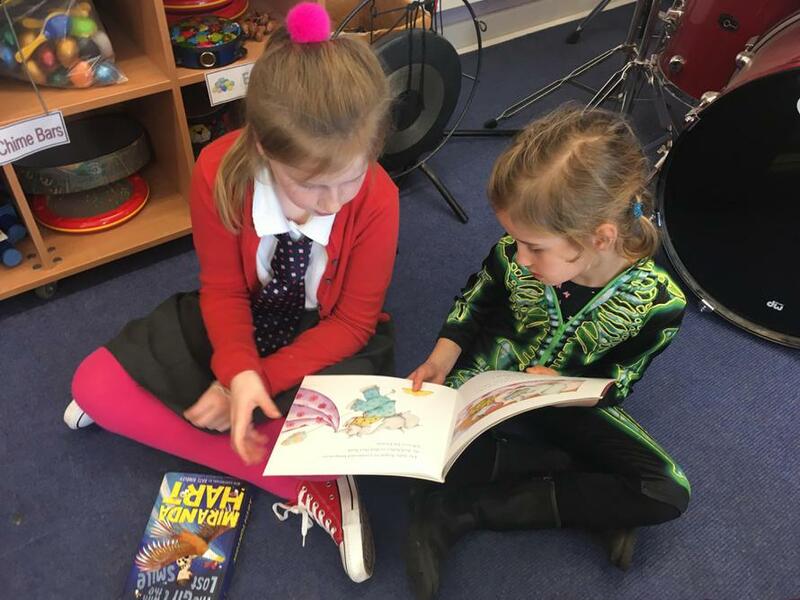 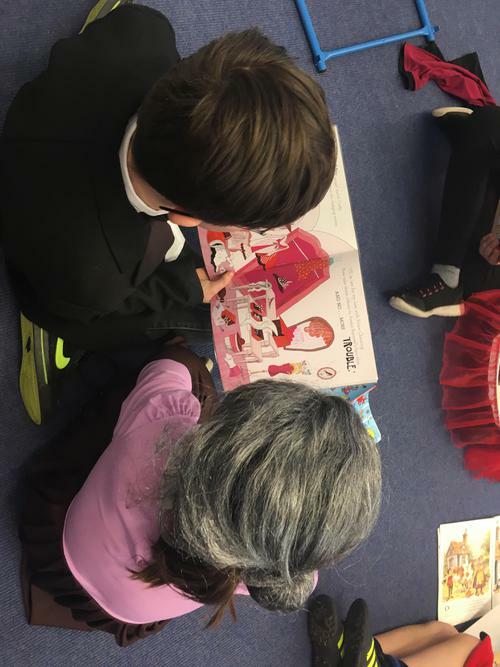 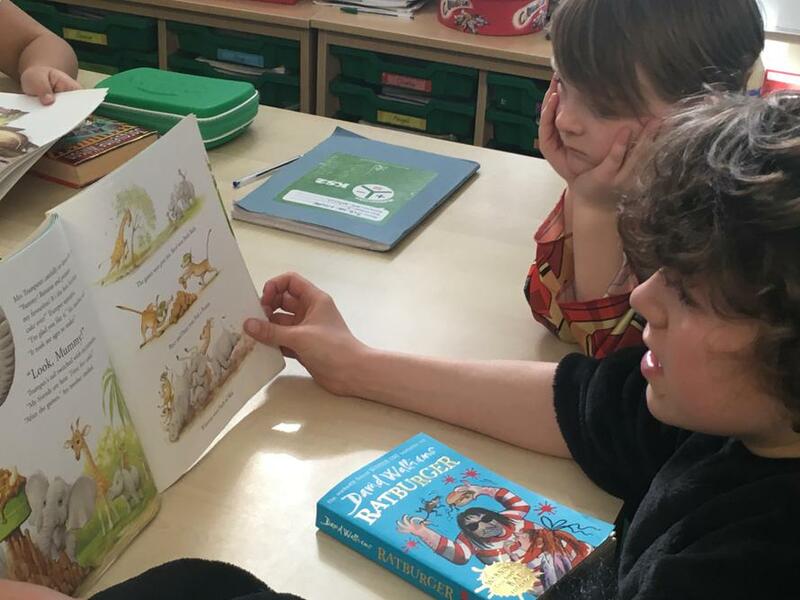 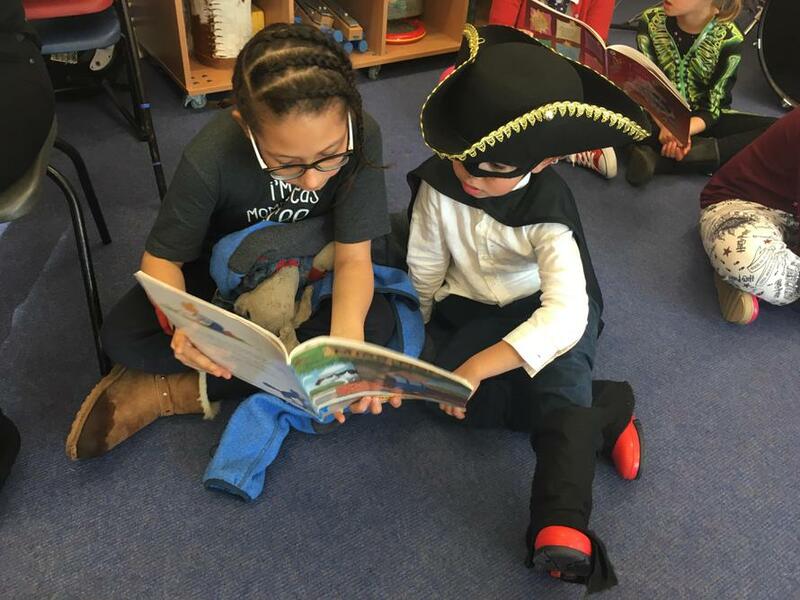 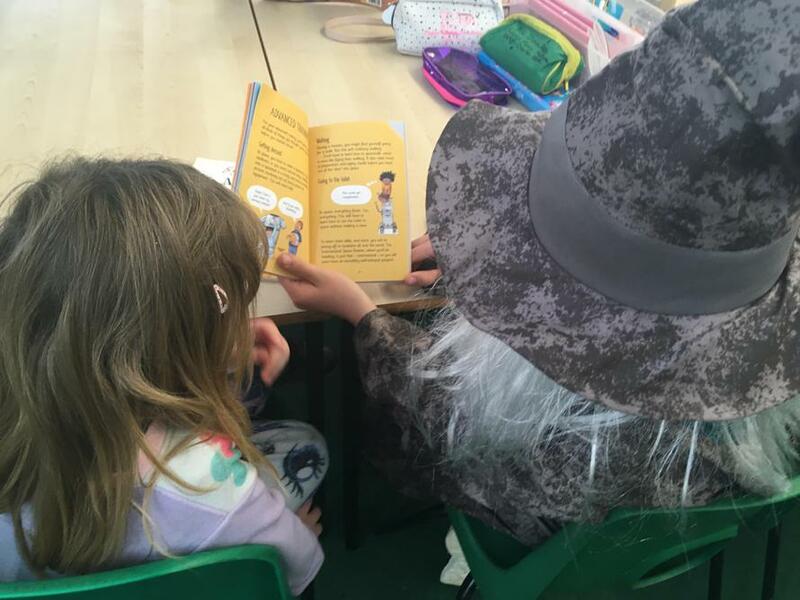 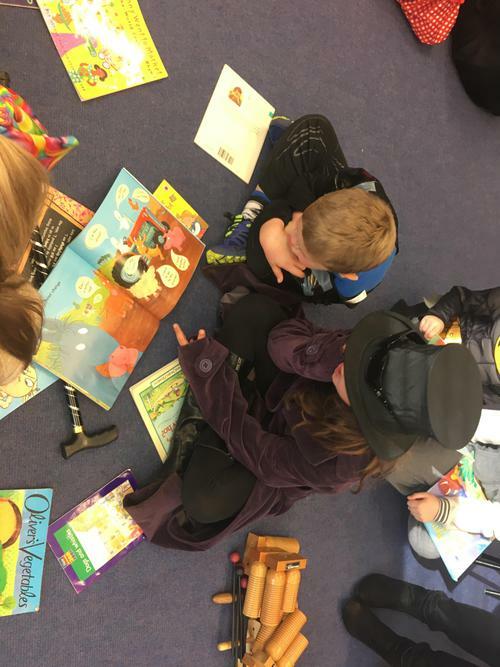 We also read with our friends in Year 1/2.